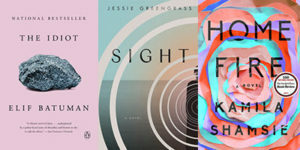 THE WHITE BOOK by Han Kang (South Korea), translated by Deborah Smith (Hogarth to publish in the U.S. in Spring 2019) FRANKENSTEIN IN BAGHDAD by Ahmed Saadawi (Iraq), translated by Jonathan Wright (Penguin Books published in the U.S. 1/23/18) FLIGHTS by Olga Tokarczuk (Poland), translated by Jennifer Croft (Riverhead Books to publish in the U.S. 8/14/18) View the complete Man Booker International Prize 2018 shortlist here. The panel of judges included two Penguin Random House authors: Hari Kunzru, whose most recent book is WHITE TEARS (Vintage), and Helen Oyeyemi, whose most recent book is WHAT IS NOT YOUR IS NOT YOURS (Riverhead). The winner of the 2018 prize will be announced on May 22 at an awards dinner at the Victoria & Albert Museum in London, with the £50,000 prize being divided equally between the author and the translator of the winning book. In addition, each shortlisted author and translator will share £1,000 each. The newest novel in the Hogarth Shakespeare Series is Jo Nesbø’s MACBETH, published on April 10. Set in the 1970s in a run-down, rainy industrial town, this gripping transformative take on one of Shakespeare’s bloodiest plays centers around a police force struggling to shed an incessant drug problem. Creating an engrossing story of love and guilt, political ambition, and greed for more, Nesbø explores the darkest corners of human nature, and the aspirations of the criminal mind. In this “Three Questions for an Editor” interview, Alexis Washam, Executive Editor, Crown Publishers and Hogarth, offers insights into the Hogarth Shakespeare Series, the process of working with Nesbø on this project, and how readers may embrace the remarkable novel that was created. Read on. What was involved in the process of having Jo Nesbø retell MACBETH as part of the Hogarth Shakespeare Series? When we first conceived of the Hogarth Shakespeare series, my colleagues here and in the UK agreed that we wanted to give the participating authors as much latitude as possible on this project. When we approached Jo, we asked him which Shakespeare play he would be most excited about retelling, and when he came back with MACBETH, we were both thrilled and not entirely surprised. It is, after all, one of the Bard’s bloodiest. Once we matched the author with the play, there was very little directive – basically, “write a novel!” - and I’ve been amazed to see how each book has come back with its author’s own unique take on his or her play. Nesbø is no different – he took a timeless tale of ambition and madness and set it in a police department in an atmospheric port town, and the result is a page-turning thriller that stands up to the best of them. How would you describe working with the author as his editor as this book came to be? [caption id="attachment_110713" align="alignright" width="197"] Alexis Washam[/caption] It’s been a true honor to work with all of the authors on our Hogarth Shakespeare list, and each of them has been incredibly open and gracious about the editorial process. All of the books in the series are published in collaboration with my colleagues at Hogarth UK, so in the case of MACBETH, Jo delivered his manuscript, fully finished and translated by Don Bartlett, to myself and the UK editor at the same time. We both read it at once (it was exciting to be one of the first to read a new Nesbø novel! ), and then sent along our editorial notes to Jo and his agent. There was not very much that needed changing, as you can imagine. But he took our thoughts into consideration, and we did a small bit of work on the opening chapter in particular. Since the setting and the cast of characters would be new to Nesbø fans, we wanted to make sure we got the first pages exactly right, so they’d be instantly drawn in. We also had a conversation about the title: MACBETH is the only book in our series that shares its title with the play. At first, we weren’t sure about this exception, but after reading the manuscript it made sense. Since Jo had kept the names of the characters (he’s the only one who has done so, at least to this extent), we decided to stick with it. And it looks fantastic on a book cover! What elements of Nesbø’s MACBETH do you think will resonate with longtime fans of his Harry Hole novels as well as readers – particularly Shakespeare devotees – who may be coming to his fiction for the first time? Jo Nesbø’s novels are not just pulse-racing thrillers; his work has always explored the darkness and evil that is present in any seemingly functional society, and the chaos and infighting that serves as the backdrop to his MACBETH should be familiar to any fan of the play. Also, of course neither the play nor Nesbø’s work are strangers to violence – man’s worst impulses often result in murder and violent crime, and the Harry Hole novels and this new book make those acts of violence central to their plots. However, neither Nesbø nor Shakespeare was interested in bloodshed for its own sake; both in the original play and the novel, the character Macbeth’s deepest psychological demons and personal failings make for a compelling tale of a tragic fallen man. 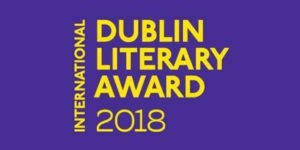 The 10 finalists for the 2018 International Dublin Literary Award have been announced, the shortlist including 4 authors and their books published in the U.S. by Penguin Random House imprints. Sponsored by the Dublin City Council and managed by Dublin City Libraries, the international competition receives its nominations from public libraries in cities around the world and recognizes both writers and translators. The Dublin Literary Award, now in its 23rd year, is one of the richest literary prizes in the world, worth €100,000 to the winner. If the book has been translated, the author receives €75,000 and the translator €25,000. A five-member international judging panel, chaired by Eugene R. Sullivan, will select one winner, which will be announced by Lord Mayor, Ardmhéara, Mícheál Mac Donncha, Patron of the Award, on June 13 in Dublin, Ireland. Our shortlisters: HUMAN ACTS by Han Kang; translated from Korean by Deborah Smith (Hogarth) THE LESSER BOHEMIANS by Eimear McBride (Hogarth) LADIVINE by Marie Ndiaye; translated from French by Jordan Stump (Alfred A. Knopf) MY NAME IS LUCY BARTON by Elizabeth Strout (Random House) To view the complete list of 2018 International Dublin Literary Award finalists, click here. To read an Irish Times article by Hogarth author John Boyne about this year’s shortlist, click here. 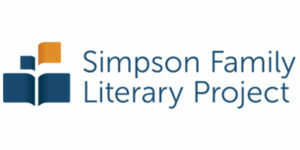 Hogarth author Anthony Marra has won the Simpson Family Literary Prize, which honors mid-career authors who have earned a distinguished reputation with a $50,000 cash award to encourage and support forthcoming work. Now in its second year, the Simpson Prize is administered by the University of California, Berkeley English Department and the Lafayette Library and Learning Center Foundation. As the prize winner, Marra will give a public reading, make a limited number of Bay Area public appearances, and be in brief residence at the Lafayette Library and UC Berkeley. 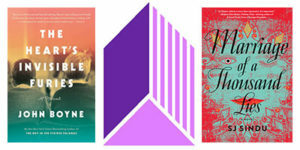 Finalists for the 30th annual Publishing Triangle Awards have been announced, honoring the best LGBTQ fiction, nonfiction and poetry published in 2017, as well as the year’s best trans and gender-variant literature. Winners will be celebrated April 26 at a ceremony in New York City. Here are our Triangle Finalists: THE HEART’S INVISIBLE FURIES by John Boyne (Hogarth) for the Ferro-Grumley Award for LGBTQ Fiction MARRIAGE OF A THOUSAND LIES by SJ Sindu (Soho Press, a Penguin Random House Publishing Services client publisher) for the Edmund White Award for Debut Fiction View the complete list of Publishing Triangle finalists here. Award winners each will receive a prize of $1,000. Honorary Book Club Central Chair Sarah Jessica Parker has selected Jonathan Miles’ ANATOMY OF A MIRACLE, on sale March 13 from Hogarth, as the latest addition to the American Library Association’s Book Club Central SJP list. ANATOMY OF A MIRACLE is a remarkable novel about a paralyzed young man’s unexplainable recovery, and explores faith, science, mystery and the meaning of life. 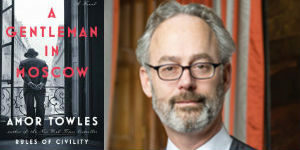 “Jonathan Miles is a great American storyteller, a writer to celebrate with a new novel easily devoured" said Ms. Parker. “His tender, life-affirming ANATOMY OF A MIRACLE follows paraplegic veteran Cameron Harris and his sister Tanya after Cameron suddenly regains the ability to walk. The story in these pages is astoundingly joyous and deeply humane, and I can’t wait to share it with you all as the new selection for Book Club Central.” [caption id="attachment_9952" align="alignright" width="244"] Jonathan Miles[/caption] Johnathan Miles is also the author of the novels Dear American Airlines and Want Not, both New York Times Notable Books. He is a former columnist for The New York Times and has served as a contributing editor to magazines ranging from Details to Field & Stream. His journalism has been frequently anthologized in Best American Sports Writing and Best American Crime Writing. He is also the author of a book on fish and game cookery, The Wild Chef. Jonathan Miles“Jorge Luis Borges imagined heaven as a kind of library, and I wholeheartedly subscribe to that gorgeous vision,” said Mr. Miles. “Libraries have long been the seed banks for my imagination, so I’m humbled and thrilled that Sarah Jessica Parker and the ALA have chosen ANATOMY OF A MIRACLE as their Book Club Central selection.” In a starred review, Booklist called ANATOMY OF A MIRACLE “Vibrant, bustling, and humorous… Cleverly shaped as a journalistic report, and told in a style similar to that of John Jeremiah Sullivan and Ron Currie, Miles’ tale offers a nuanced and endlessly entertaining exploration of the age-old debate between faith and reason.” Kirkus said “Miles possesses a rare and admirable command of structure and style, shifting smoothly from Afghan patrol tactics to Catholic doctrine to neurological science; his sentences are thick with data, wittily delivered. 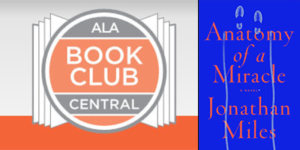 … An expertly shaped tale about faith in collision with contemporary American culture.” Ms. Parker’s previous picks for Book Club Central have been No One is Coming to Save Us by Stephanie Powell Watts, EXIT WEST by Mohsin Hamid and STAY WITH ME by Ayobami Adebayo. In addition to being honorary chair of Book Club Central, Ms. Parker is an Honorary Lifetime Board Member of United for Libraries, a division of ALA, a role she is using to raise awareness about the integral role of Friends groups in the library. 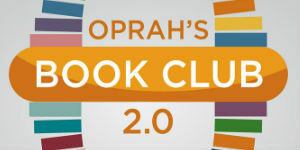 Book Club Central, designed in consultation with expert librarians, provides the public with the very best in reading and is a place for engaging content and information for book clubs and readers everywhere. Book Club Central Sponsoring Partners are Booklist, the book review magazine of the ALA; United for Libraries, a division of the ALA; and Libraries Transform, the ALA’s public awareness campaign, along with Corporate Platinum Partner Penguin Random House. Corporate Gold Partners include NoveList, OverDrive, and Sisters in Crime. Book of the Month has announced that its more than 100,000 members elected John Boyne’s THE HEART’S INVISIBLE FURIES (Hogarth) as the 2017 Book of the Year Award winner. Boyne, a highly-acclaimed author living in Ireland, wins the $10,000 grand prize and his novel will be reprinted in a special limited edition rose gold jacket, available exclusively to Book of the Month members. Credit: Rich Gilligan[/caption] THE HEART’S INVISIBLE FURIES is a heartfelt, humorous, unforgettable journey about a boy born in post-war Ireland to adoptive parents. The novel tracks his struggles with identity, religion and sexuality from the 1940s through present day. Book of the Month members describe the work as “simultaneously heartbreaking and hopeful,” “eye-opening,” “a thing of beauty,” and “actual perfection.” It’s big, bawdy, and brimming with heart. “The Book of the Year award is an opportunity for our more than 100,000 members to recognize and celebrate their favorite books,” said John Lippman, CEO of Book of the Month. “We pride ourselves on introducing readers to books they might not have picked up otherwise, but fall in love with once they do. It’s always gratifying to see that we’re doing exactly what we set out to do. Congratulations to John Boyne, Crown Publishing Group, and Penguin Random House on this well-deserved award.” In the UK, THE HEART’S INVISIBLE FURIES is one of the titles on the next Richard & Judy Book Club list. The selections are made by celebrity couple Richard Madeley and Judy Finnigan from a longlist provided by a W H Smith reading team. 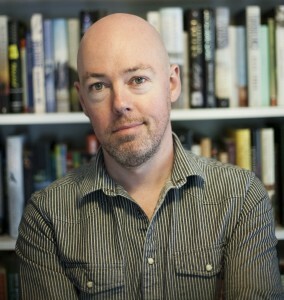 John Boyne is the author of ten novels for adults, five for younger readers, and a collection of short stories. His 2006 novel, THE BOY IN THE STRIPED PAJAMAS, was an international bestseller, selling more than 7 million copies worldwide and being made into a film, a play, a ballet, and an opera. In his native Ireland, he has won three Bord Gáis Irish Book Awards and been shortlisted on ten separate occasions. 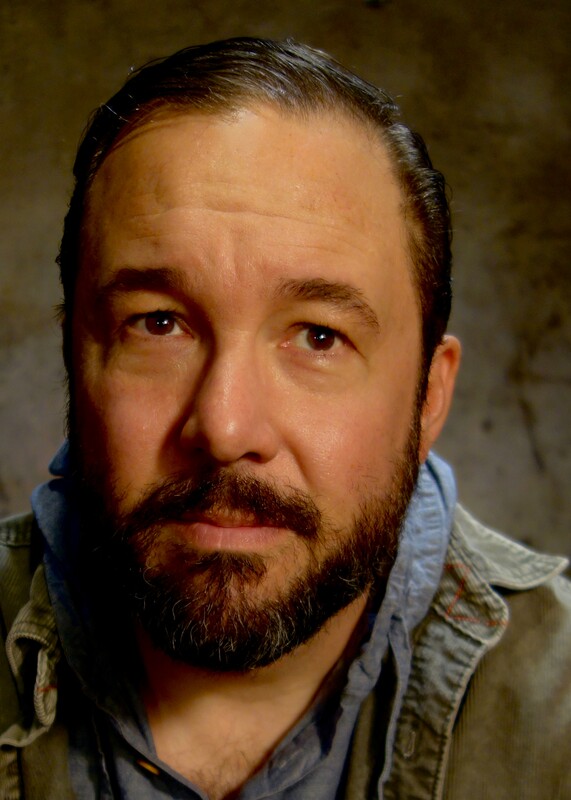 He has also won or been short-lsted for a host of international literary awards, including a Stonewall Honor Award and a Lambda Literary Award in the United States. His novels are published in more than fifty languages. THE LESSER BOHEMIANS by Eimear McBride has won the James Tait Black Prize, Great Britain’s oldest literary award. 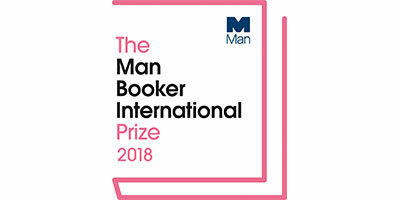 The winners of the prizes were unveiled at the Edinburgh International Book Festival on Monday, August 14, when the honor for biography was also announced. Published by Hogarth, Ms. McBride’s second novel is a captivating story of passion and innocence, joy and discovery set against the vibrant atmosphere of 1990s London over the course of a single year. More than 400 titles were submitted for the 2017 James Tait Black prizes, with a shortlist chosen by University of Edinburgh academics and postgraduate students. 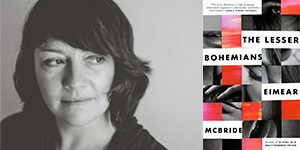 Fiction judge Dr. Alex Lawrie described THE LESSER BOHEMIANS as being “full of wit, energy and nerve, an extraordinary rendering of a young woman’s consciousness as she eagerly embarks on a new life in London.” Congratulations to Ms. McBride, her editor, publisher and everyone at Hogarth as well as the Crown Publishing Group. The James Tait Black Awards were founded in 1919 by Janet Coats, the widow of publisher James Tait Black, to commemorate her husband’s love of good books. Ms. McBride’s debut novel A GIRL IS A HALF-FORMED THING won the 2013 Goldsmiths Prize and the Baileys Women’s Prize for Fiction 2014.